Remember that feeling when you popped open an Easter Egg and got to see what’s inside? Will it be Jelly Beans? Chocolate? A Peep? If you were really lucky, maybe you would even find some money! In my family we would know when we got a “money egg” because it would be heavy and you’d hear the change rattling around. The “grand prize” in the hunt would be a silver dollar, which I was blessed enough to find many times before I grew up and was promoted from egg-hunter to egg-hider. I’ve heard of other kids finding paper money in their eggs, but we weren’t that spoiled; besides, I treasure all those silver dollars for much more than their monetary value. Besides just being a LOT of fun for us kids, those Easter Egg Hunts also got us to pay closer attention to the yard and garden. 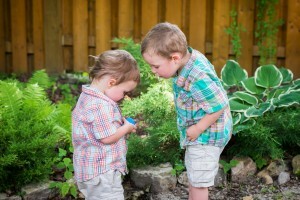 We did our Easter Egg Hunts at our grandparents’ house. As a kid I didn’t usually take much interest in the bushes, trees, and flowers around my grandparents’ yard, but the Easter Egg Hunt made me take a closer look. You don’t want to miss any eggs! I’m sure my grandpa was happy to have an opportunity to show off his perfectly-kempt lawn, even if my grandma might have been a bit nervous to have kids tromping around in her flower beds! What an ingenious “hiding spot”! Be sure you’ve hidden enough eggs. A dozen or so per “hunter” should be fun. Have fun prizes. Candy of all kinds, coins, and small toys are all great. For the youngest kids, a bit of Play-Doh or Cheerios can probably make them happy; for the oldest kids, you might have to break out the folding money. If you have prizes like giant chocolate bunnies, big toys, or full baskets, you can number the prizes and hide the corresponding numbers in eggs. Put the best prizes in golden eggs, so the kids know when they’ve got something good. 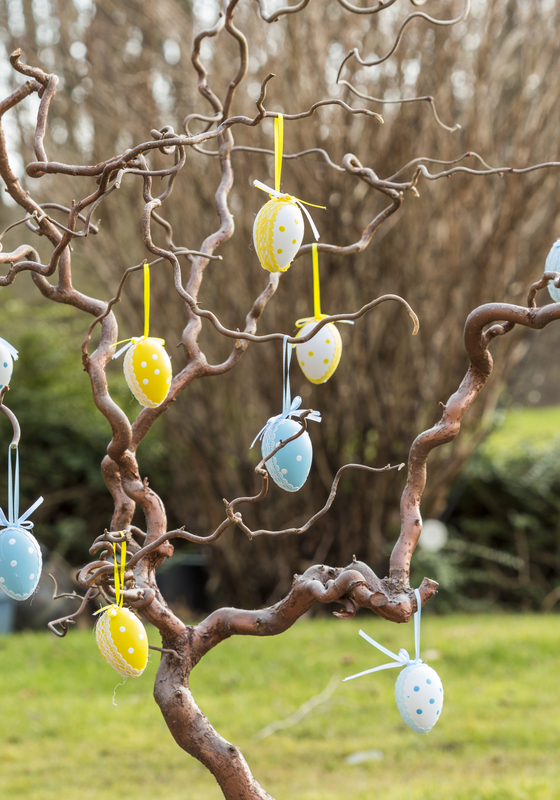 For younger kids, be sure to leave the eggs on lower branches and more obvious spots out in the open. For older kids, you can put the eggs in trickier and harder-to-reach spots. 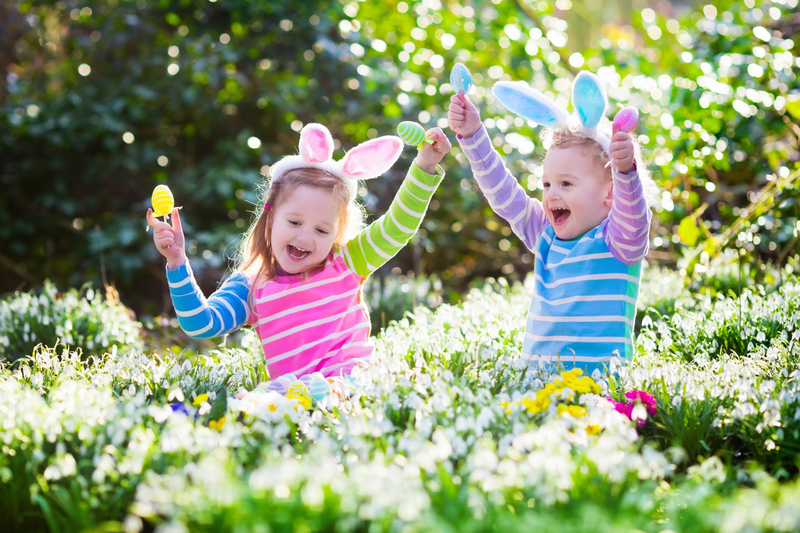 If you have both, consider splitting the hunt up into two different areas or at least giving the little kids a head start before you unleash the hounds (aka “older kids”, aka “salty veteran egg hunters”). With a bit of ribbon and hot glue you can hang the eggs off of tree branches like ornaments! It’s probably wise to rope off thorny bushes like Roses or Berry Bushes and potentially skin-irritating plants like Euphorbia, Caladium, Calla Lily, or Peace Lily. Tell the egg hiders and egg hunters that those areas are off limits. You don’t want kids getting scratched up. Ribbon, string, or signs can are also good ways to mark the edge of your property so kids don’t go wondering into the neighbors’ yard. 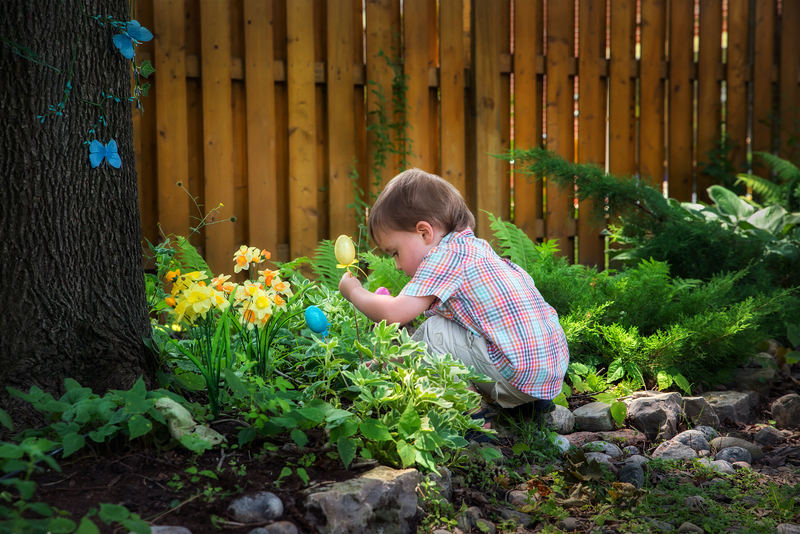 Other places to avoid when hiding eggs are areas near electrical sockets, areas near the road, and holes in the ground/in tree trunks where critters might be burrowed. Color-code and/or count your eggs. It helps to know exactly how many eggs are out there so that you can tell the kids when they are done or when they need to keep looking.